05/22/2018 Washington D.C. (International Christian Concern) – With recent events, including arson, arrests on religiously divisive charges, and staged shootings, religious liberty in Nepal is on the decline with Christians being actively targeted by Hindu radicals. In recent months, there has been a non-stop string of persecution incidents, beginning in early March when a church in Dhading District was set on fire, rebuilt, and then set on fire again. Unfortunately, this church attack was only the beginning of a series of events affecting Christians across Nepal. The pinnacle of these events took place when a radical Hindu cleric was arrested for faking an assassination attempt on himself earlier this month in an attempt to stoke religious hatred against Christians. This Hindu cleric, Lakshmi Raj Acharya, forced one of his followers to shoot and wound him on April 8. The cleric’s follower later confessed that he was coerced into doing this so that Acharya could blame Christians in order to incite religious violence. Ultimately, this extreme action was motivated by the desire to reestablish Nepal as a Hindu kingdom. This motivation was confirmed by Acharya’s confession when he was arrested on May 7 as he was attempting to flee to India. This attempt to bring hostility and false accusations against Christians was not an isolated event; rather, it has been accompanied by a series of arrests and arson attacks. The arrests have taken place as a result of a law that prohibits “forced conversions,” which is something that Christians who either gather or share their faith publicly are regularly accused of in Nepal. The first of these arrests affected two Christian women and a young girl who were arrested for trying to convert people and encouraging them to destroy their Hindu idols on March 22. Another two Christian women in Chitwan were arrested for the same reasons on April 30. Three Christian women were arrested in Kathmandu after they were accused of trying to forcibly convert a Hindu woman by inducement on May 9. Six Christians were arrested, also on May 9, for sharing their testimonies publicly in Teherathum. These Christians were imprisoned overnight on the charge of preaching their religion. Two Christians were arrested for Christian teachings in their home, and accused of speaking against Hindu gods, on May 19. In May, four churches were attacked and set on fire in the span of only eight days. It began on May 5 when a Catholic church in Kohalpur was set on fire. The next was Emmanuel Church Budor in Doti, which was set on fire at night on May 10 while the pastor was in his residence connected to the church. The third was Emmanuel Church in Kanchanpur, which was also set on fire in the middle of the night on May 11. The most recent attack was the bombing of Taranagar Mahima Church, which took place on May 13. The police arrived within minutes of the bombing and, thankfully, no one was injured in the attack. Police attribute this act of violence to the Biplab Maoist group, though local church leaders believe that it was most likely done by Hindu extremists. Pastor Alan Acharya, the leader of Taranagar Mahima Church, said that the church had been threatened by Hindu extremists prior to the attack. 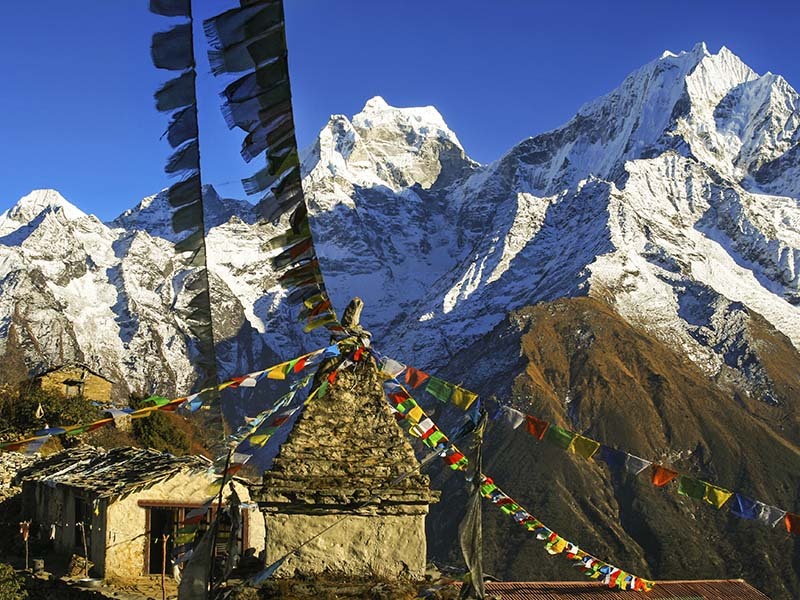 These events represent a growing hostility toward Christians in Nepal, which is home to one of the fastest growing Christian communities in the world. The actions of the Hindu cleric, the arrests, and the arson attacks shows that these hostilities are being more actively expressed by fringe elements in Nepal. For many Christians, there is a growing fear that this is only the beginning of an increase in persecution in Nepal. In August 2018, a law criminalizing religious conversion will come into effect and many fear that this law will provide a blanket excuse for extremists who regularly attack Christians.